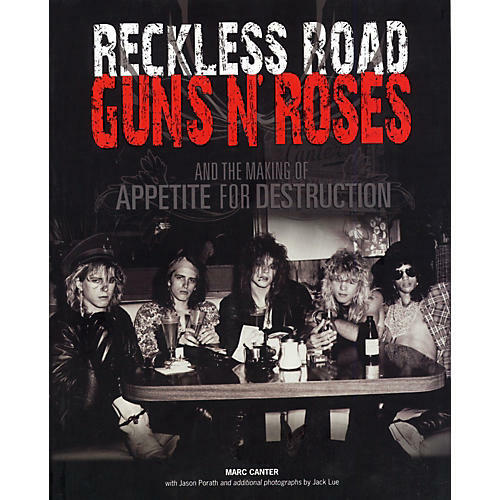 The book Reckless Road contains candid pictures taken as Guns N' Roses toured in 1985-1987 and made their legendary album Appetite for Destruction. When teenager and amateur photographer Marc Canter set out to document his best friend Saul Hudson's rise as a rock guitarist in 1982, he never imagined he was documenting the genesis of the next great rock 'n' roll band. His friend became the legendary guitarist Slash, and Canter found himself witnessing the creation of Guns N' Roses front and center, captured perfectly on film as only an insider could do. The images in Reckless Road show Guns N' Roses' raw, blood-sweat-and-tears performances as well as their intimate moments. The book also contains images of original gig memorabilia including show flyers, ticket stubs, set lists, press clippings, and handwritten lyrics as well as in-depth interviews with band members and the people closest to them, Reckless Road offers an explicit, first-person perspective readers won't find anywhere else.